Today, January 12, 2017 the President announced that the Department of Homeland Security will be ending the “wet-foot/dry-foot” policy in a statement about Cuban Immigration Policy. Previously, Cuban nationals were allowed to apply for permanent residency within one year of reaching American soil without the need to enter the United States with a visa. After decades of making an exception for Cuban nationals, the “wet-foot/dry-foot” policy will be no more. From this point forward, Cuban nationals will be required (like all other foreign nationals) to obtain a visa in order to be lawfully admitted to the United States. Effective January 12, 2017, Cuban nationals caught attempting to enter the United States without proper documentation, who do not otherwise qualify for humanitarian relief, will be subject to removal, in accordance with the immigration laws of the United States. 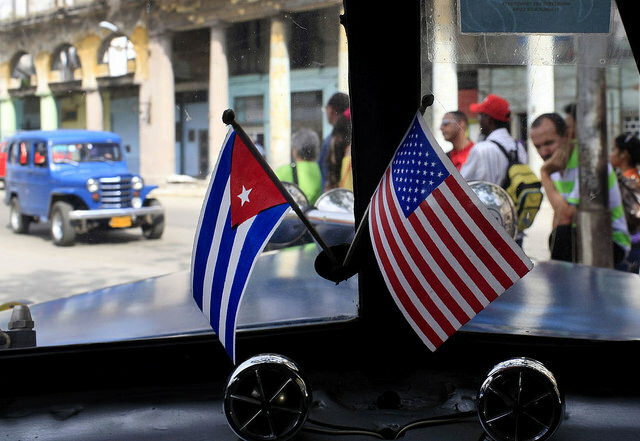 This change in policy comes as an effort to “normalize” U.S./Cuban relations and to make the immigration policies of the United States more consistent. As you may know, diplomatic relations between U.S. and Cuba were severed in 1961, and were only re-opened until recently. For their part the Cuban government has reached an agreement with the United States to accept Cuban nationals ordered removed from the United States. In addition, the new policy states that effective immediately the Department of Homeland Security will terminate the Cuban Medical Professional Parole program under the rationale that this program no longer serves the interests of the United States and the Cuban people. The parole program was viewed as controversial from the very beginning because it provided preferential treatment to Cuban medical personnel. Cuban medical personnel and others will be eligible to apply for asylum at United States embassies and consulates worldwide, as has been customary for all other foreign nationals. Lastly, the Department of Homeland Security announced that it has terminated an exemption that once protected undocumented Cuban nationals who were apprehended at ports of entry from expedited removal proceedings. Cuban nationals are now subject to expedited removal from the United States. The good news is that the Cuban Family Reunification Parole Program will be unaffected by these new changes. The “wet-foot/dry-foot” policy allowing Cuban nationals to gain permanent residency upon reaching American soil was made possible by President Bill Clinton, and had been in place since 1996. Immigrants from other countries who have attempted to enter the United States unlawfully have gone through a detention process and have been subsequently deported. This will now be the fate that awaits Cuban nationals. In justifying the policy change, President Obama said that the policy was designed for a different era, and is no longer suitable, given the newly re-opened diplomatic relations with the communist country. From 2014 to 2015 thousands of Cuban nationals flooded the Gulf of Mexico attempting to flee Cuba after U.S./Cuban relations re-opened. Cubans feared the end of the “wet-foot/dry-foot” policy and lost opportunity to gain permanent residency in the United States. It is estimated that over 250,000 Cubans gained permanent residency through the program during the Obama administration. Please note that Cuban nationals who are eligible for asylum or humanitarian relief may still apply, however Cubans will no longer be entitled to preferential treatment, and must qualify for adjustment of status through other means (adjustment of status through a qualifying relative, employer, or other special immigrant category). For more information about this policy please contact our office.